These doors are a good example of material re-use. They were made using copper flashing that was removed from one of our jobs. 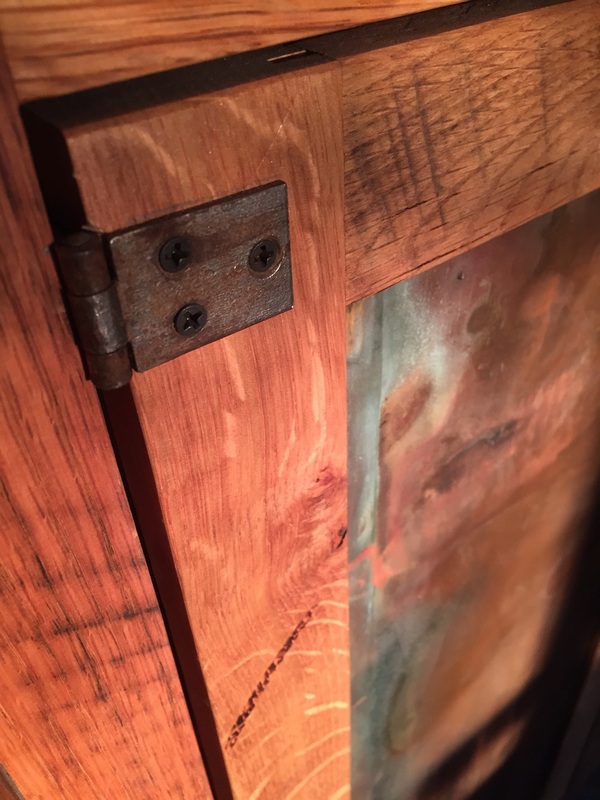 The rustic oak and reclaimed hinges work well with the overall feel. These were made by Haldan and are in his pantry at home.